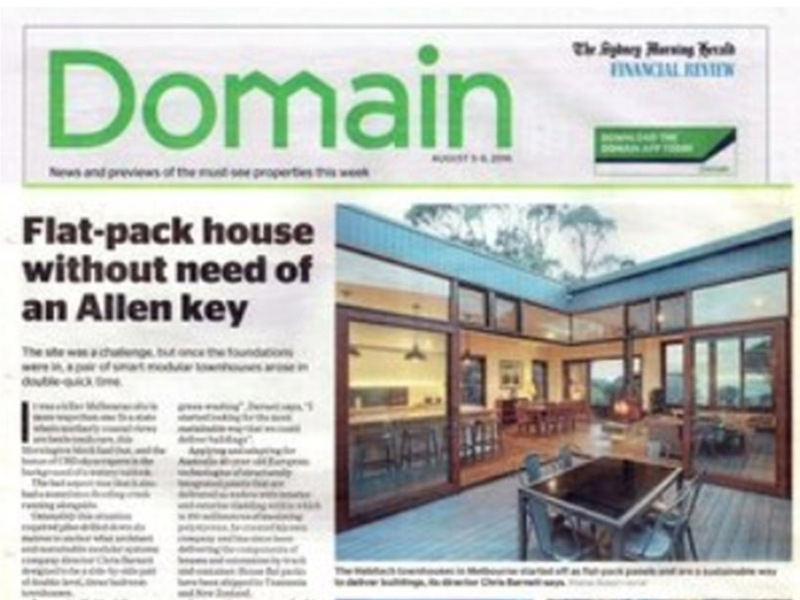 The existing fifties skillion roofed house, set along the contours of the sloping site, is to be replaced with a new home for the owner, father and grandfather to his neighbouring family. 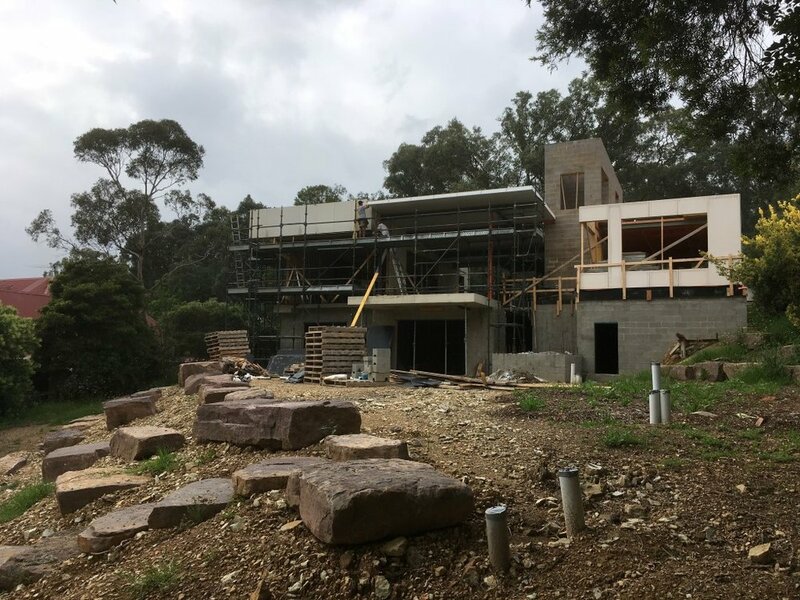 The new house is to provide space in which to enjoy bringing all generations of the family together and make the most of the long views over Warrandyte State Park. 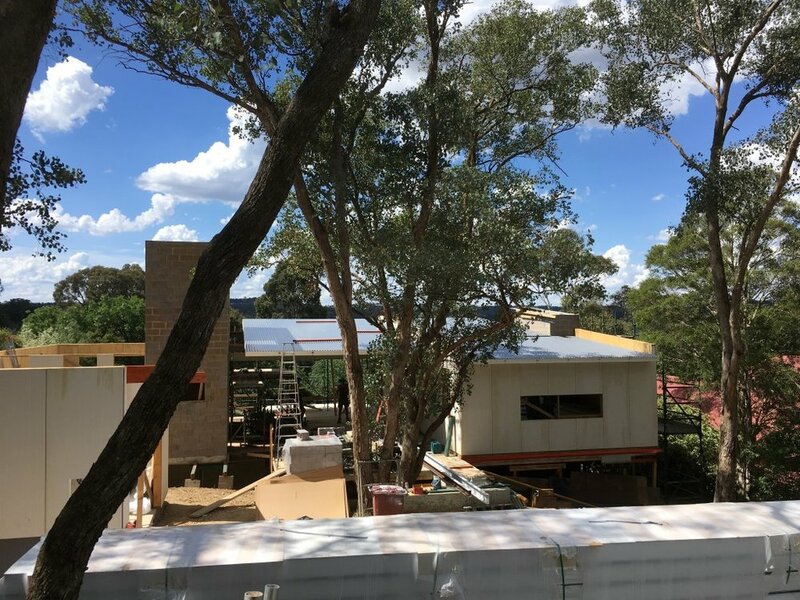 The widely spaced eucalypt trees of the area provide the backdrop to the outlook, while the immediate garden will be re-levelled and landscaped to balance a native planting scheme with space for younger family antics. A possible change of focus in the brief during design due to the passing of the family's much loved matriach may have created confusion in the resulting house but the clear aim of the project has been maintained by the client to great effect. The competing elements in the program of accommodation within a restricted building footprint required a clear ordering concept to ensure the functioning of the home in differing family situations. The usually challenging construction on such a sloping site has been optimised in the layout and multi-level program of accommodation using a hybrid structure. The need to retain trees on site, especially on approach from the south of the site, both for local authority compliance as well as maintaining the atmosphere of the property also restricts methods of construction and siting. 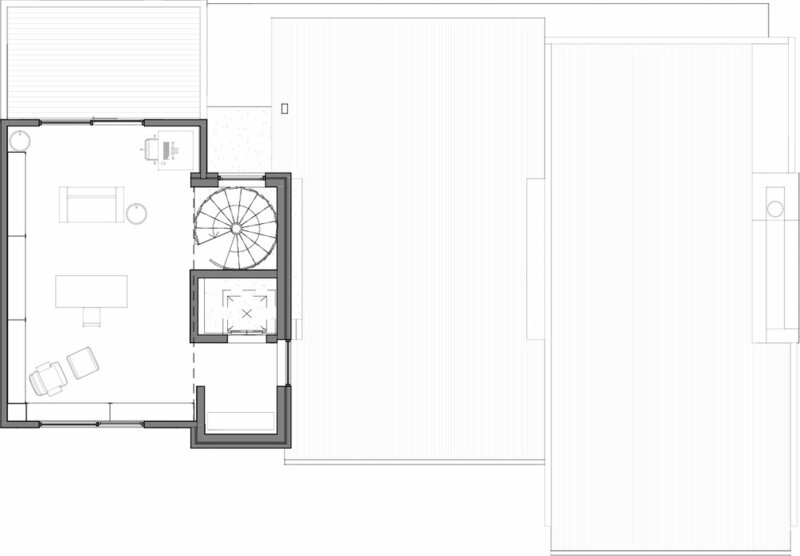 The concept of a breezeway terrace placed between two wings of the house providing a framing of the long view on approach, continuing through the house to the terrace outlook of the State Park beyond, has formed the layout. The approach through the trees of the forecourt leads to the paved terrace running through the centre of the house. 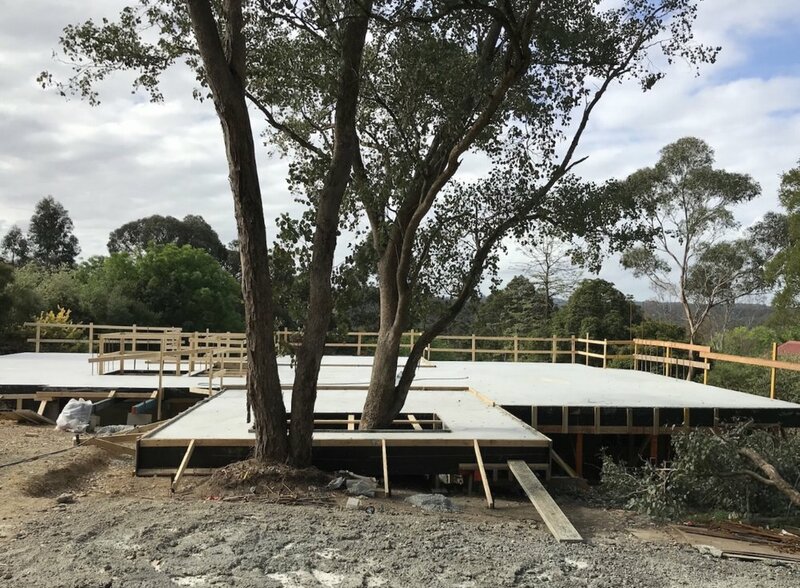 The lower level of younger family accommodation has been recessed into the slope in heavyweight construction, avoiding tree root zones up-slope. This displaces a large area of space from the main floor level, freeing up the flow of views and larger living spaces. All services are located down in this lower level to the same benefit. The need for a retreat for the owner on the upper level led to the vertical circulation forming a major element clad in masonry, a reference to the local geology. This central masonry form has been reprised on the east wing in the chimney breast of the living space, anchoring the house to the lower east slope. The connection with the garden from the main raised podium of the house is via a grand stair case running alongside the three storey vertical masonry form, allowing an intriguing view of the garden terraces below on entry to the house. The main and upper level wings of the house are constructed in Habitech Fabric, based on the concrete mass of the lower level, providing a super-insulated superstructure and flanking the open breezeway of the dining space. Alongside the dining terrace is the owner's luxury: a plunge pool enjoying the view with separation from garden or the sometimes busy living areas. The orientation of the house directly to north set up the efficiency of the design. Glazing is restricted primarily to this facade, with large skillion roof overhangs controlling solar access through the seasons. The hybrid combination of the Habitech fabric and thermally massive lower level provides the basis for low energy use of comfort systems: Heat reclamation ventilation, heat-pump based floor heating, hot water and airconditioning all run from the large solar PV system on the garage roof. High performance glazing ensures this comfort is maintained within large spaces. Zoning of spaces makes best use of this passive solar performance with services confined to the south and open spaces to the northern sun. Cross ventilation north to south is possible to almost all spaces, using cooler breezes to flow through the house .